After a particularly stressful period in my life (last year of law school and studying for the bar exam! ), I finally lifted myself out of my quagmire of books and I noticed that I paid the price for my stress with my skin. Not a surprise – my skin’s always been a super sensitive barometer of my stress level and overall happy lifestyle. Cystic acne started creeping back, my rosacea was getting worse, and the enlarged pores on my nose and cheeks had gotten even bigger. My skin was oilier than ever, but also more sensitive than ever. I knew something had to be done, so – with trepidation – I decided to try ordering Proactiv again, even though the first time around left my skin sore, dull, gray, and more sensitive than ever. My acne was gone, but it left my skin a shriveled up shell of its former self. Immediately after purchasing the Proactiv, I regretted it, but I decided that I would start using it and then really hunt for a better solution. Then the “aha” moment came: I read an article about the Korean double-cleansing method. (I’ll talk about the Korean skincare steps on a later blog.) In general, with every step of their skincare (and there are MANY steps), Korean women treat their skin with sensitivity – never using anything that’s too abrasive, harsh, or drying. After reading this, I was intrigued… especially since all the Korean women I’ve ever met in Japan and in Hawaii have the most beautiful skin. 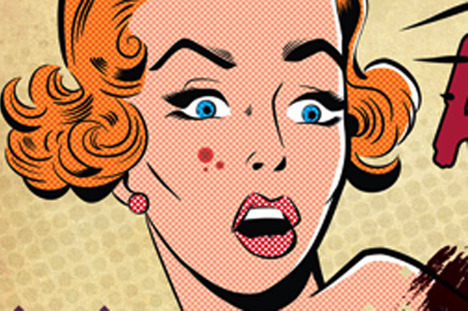 This article was my “aha” moment – it was the key to unlocking the door on how to eliminate my acne and ultra-sensitive skin. In a nutshell, the moisture barrier, made of fatty acids and ceramides, keeps the multiple layers of our skin healthy and happy. When it becomes compromised, skin becomes susceptible to dryness, irritation, stinging, redness, sensitivity, and acne. Also, with a damaged moisture barrier, the skin will try to repair what’s been done by increasing sebum production. I personally suffered from this confusing dilemma of simultaneously dry and oily skin. So how does the Moisture Barrier become compromised? Usually through over-exfoliation (either manually or chemically), sunburn, over-cleansing, or using skin care products with a pH that’s too high/alkaline. The outermost layer of skin is acidic, somewhere in between 4.0 – 6.0, with the average around 4.7. Those with a pH on the lower end have better overall skin. The acid mantle’s low pH serves to stop the growth of harmful bacteria, fungi, parasites, and other pathogens, as well as maintain the durability and structural integrity of the skin. The acid mantle becomes compromised by using products with a high/alkaline pH, resulting in our skin becoming prone to infection, acne, roughness, flaking, irritation, and dehydration. Facial cleansers that are too alkaline (which most are!) is the most common way that we break down the acid mantle of our skin. The best way to keep your pH balance in check is to not use a cleanser and overly-strips your face and apply an acidic toner after you wash. Essential fatty acids are crucial for a healthy Moisture Barrier, and they also help in healing your skin when you have compromised skin (such as acne, rosacea, etc…). Research shows that fatty acids high in linoleic acid are great for keeping acne at bay. In fact, people with acne-prone skin tend to be deficient in linoleic acid. So in order to keep your skin happy, healthy, and glowing like a Korean actress, you have to nurture the fatty acids and ph balance of the Moisture Barrier. Sounds simple, right? BUT as many as you fellow acne or sensitive-skin sufferers know, it is NOT so simple. The Moisture Barrier is a delicate balance, and I’m personally still working on mine. But after a couple weeks of working on it, and following the suggestions on http://www.skinandtonics.com, I have noticed an amazing improvement in my skin and – lo and behold – no new acne and rosacea almost gone! The first couple of days after switching my products, my skin already started to feel better. It felt like all my pores made one big collective sigh~ and for the first time since I was 14, my skin is actually starting to GLOW. 1. Don’t use skin care products with a pH of 6 or higher. Pay special attention to the pH of your cleanser. 2. Use an acid toner or a daily acid treatment (2%-8% at a pH of 3.0-4.0). 3. Incorporate plant oils containing essential fatty acids into your routine. 4. Don’t over exfoliate, over cleanse, or put yourself at risk for sunburn.